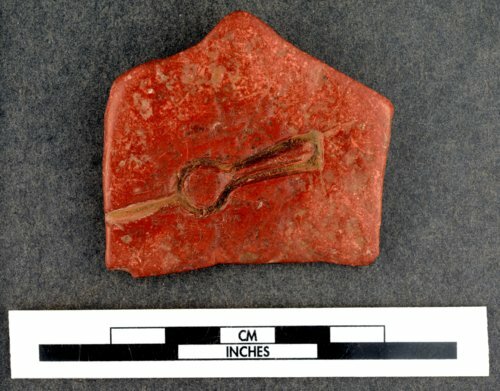 Several of these carved pipestone items have been found in Northeast Kansas. The show up in different sites, and are likely historic American Indian in origin. They may have been used for molds for softer metals, such as lead or pewter. Only one that we know of comes from an excavated context, a Kansa Village Site, which was occupied from 1828-1844 A.D.